On the left is me meeting up with the gorgeous Softthistle, who I have talked to loads on twitter. So you get to see the dress without the fluffy coat thing. I was so chuffed to get to meet the wonderful Violet Posy, because she is the fab blog designer who came to my aid when I moved from wordpress.com to self-hosted with wordpress.org. We hadn’t even spoken on the phone or anything, so I was really chuffed to get to talk to her. I did eventually manage to stop blubbing enough to give a garbled thank you when I got the award! 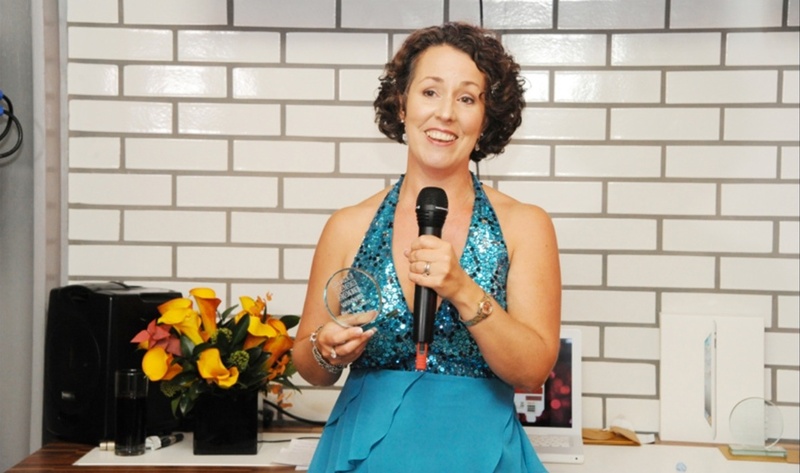 Thank you again for all your votes, and to TK Maxx for my dress, Parent Dish for sponsoring the event, Talk Talk for hosting it at their customer experience centre and sponsoring my category, Sally Whittle for being the organiser of the MADs and her fabulous team for a wonderful night. Oh and all the mummy bloggers I got to talk to or not talk to on the night, it was great being in a room with you all, slightly crazy mummy (and a couple of daddy) bloggers. I promise to do a proper blog for pictures of the jewelry next week as well! If not, we might have to make a reason to wear it!